But the question is a fair one, because we are not a “direct service” organization that can simply show you our office’s “underwater fathering” workshop. Instead, we enable direct service organizations to work with fathers. Therefore, it is always a bit harder for the public to visualize how we are strengthening fatherhood across the country. But thanks to a new book, our job just got a lot easier. It is called Choosing Fatherhood: America’s Second Chance, a photography collection (and much more) from renowned photographer Lewis Kostiner. In 2007, Kostiner began traveling around the country with NFI staff members to document the stories of real dads who had been through NFI’s programs at community-based organizations around the United States. We would choose a city, find out which community-based organizations in that city were using NFI resources, and then go meet with the dads at their homes, places of work, and with the service providers to capture the images and words that would do justice to their fatherhood journeys. When all was said and done, Kostiner had photographed more than 150 fathers from all walks of life in 17 states and 39 cities who had at least one thing in common – they were all working hard to be the best dads they could be. The visually stunning book tells their stories, and, as a result, NFI’s story. These are dads who were going through NFI’s 24/7 Dad® curriculum at their local social services agency. They are formerly incarcerated fathers learning how to be great dads through NFI’s InsideOut Dad® program. They are “regular guys” benefiting from community resources that NFI helped create. Several prominent figures contributed to the book to round out these compelling stories. The foreword is by journalist Juan Williams, who urges our nation and its leaders to take seriously the need to strengthen fatherhood for the sake of our children. The book also includes an essay by NFI board member Roland Warren, who provides practical steps that dads can take to help themselves and others be the kinds of dads our children deserve. David Travis, Shipra S. Parikh, and Derrick M. Bryan also lend their voices to the book. Choosing Fatherhood: America’s Second Chance should have come with a box of tissues, as it is hard to keep your eyes dry as you see these dads and hear their voices and their children’s voices. What those voices are telling us -- or, more accurately, screaming to us from the mountaintops -- is that every child needs a great dad. But it is one thing for us to tell you that. It is another to look into the eyes of a child and really see that. That is the gift that Choosing Fatherhood gives you. 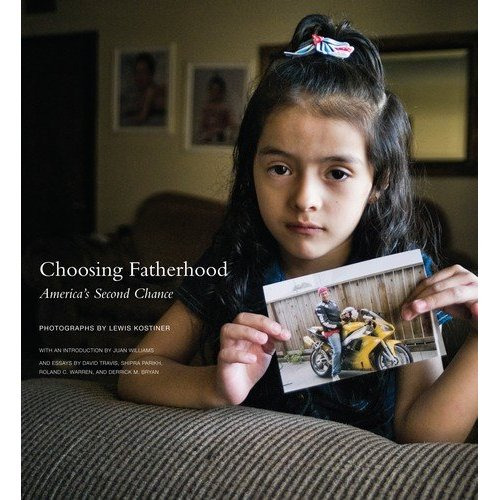 Choosing Fatherhood: America’s Second Chance will make a great addition to your coffee table or, if you work in a community-based setting, your waiting room. It can be purchased here.